Shirlee Hall has a history of being a successful channel for healing. She is an author, healer and teacher. 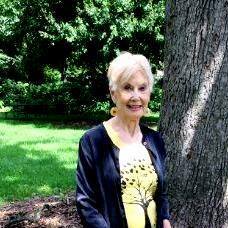 She has written and released seven books on conscious living and awakening. The author works and lives in Chicago, USA. She has had many challenges throughout her life that step by step brought her to higher understanding and awareness of herself and humanity as one whole body. According to Shirlee, humanity is facing a huge identity crisis where the material world gets confused with the spiritual world and it seems that we are all spinning in a vicious circle unable to escape. However, she believes there is a way out through self-awareness and conscious day-to-day choices. You see, many people tend to confuse this word awakening big time. They don’t really know what that means. It took me some time to work it out as well, until I came to the full understanding that it was all about making conscious choices towards one’s life that could powerfully improve one’s life, well-being and people’s lives around them. That’s not an easy thing to do, is it? No, it is not easy to be fully awake. In fact, it is a full-time job. It is not easy because people are easily programmed from the womb and are greatly influenced by other people’s opinions. To consciously evolve is sorely needed but that means the individual must choose to be a conscious creator which includes an ethical evolution. This sounds simple yet, humanity continues to experience the same repetitive cycles of success and failure. The reason why something radically different is needed to achieve and enjoy a future is the fact that creation is divided into cycles. Earth is in the latter part of her last cycle in 3rd density. To “awaken”, humanity must solve a spiritual identity crisis. I often get a question asked what shall be sacrificed in order to attain enlightenment. I guess it can be very hard at times to change and embrace the new? Sacrifice obviously means different things to different people. From my understanding and experience, sacrifice is letting go of anything or anyone that stands in the way of my purpose in being. If an individual hasn’t a clue as to his life’s purpose, sacrifice is obviously handled on an entirely different frequency than someone whose intention is to be the fullness of his true and eternal Self. If an activity doesn’t ‘feel’ right, don’t do it. Enlightenment is awakening to our full potential as a spiritual being having a temporary experience in a limited form. Discovering one’s authentic Self involves the joy of discovery and falling in love with ‘something’ indescribable, limitless and utterly beautiful. 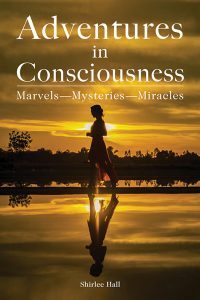 It is an exciting adventure in consciousness, an adventure that is being described as living proof in amazing ways in my new book release, Adventures in Consciousness – Marvels – Mysteries – Miracles.